We'll it's the million dollar questions as always, when is the ice going to be out. 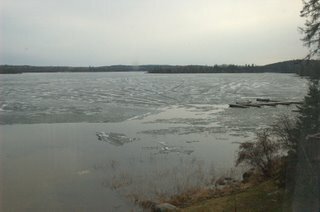 Well I thought we were a long way off until I walked to the dock this morning and saw the the ice had shifted and moved the stationary dock around. Well time to get some boats in the water and start the ice breaking! 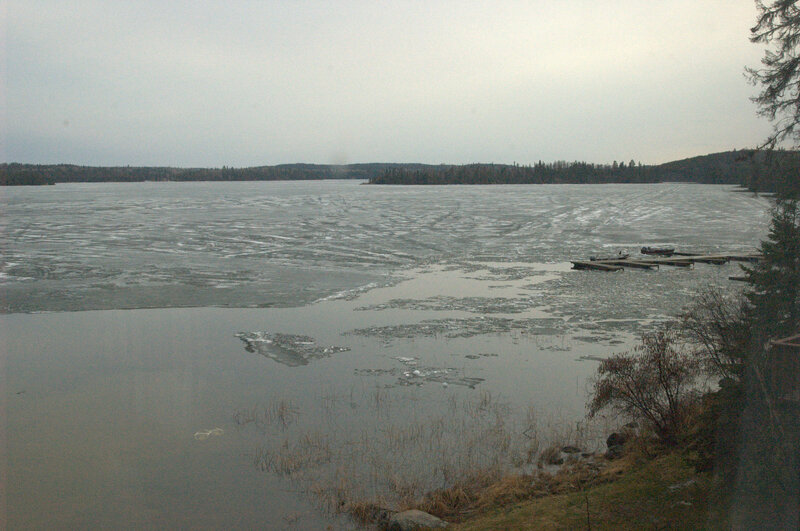 So we have two boats in right now, and have cleared all the solid ice from around the docks. We'll have to watch it closely for the next week to make sure it doesn't move in on us. So my prediction....May 7th. I will keep you posted on how things are looking. As for water levels. we are at high water right now, so there won't be any problems getting to the portage lakes this spring.